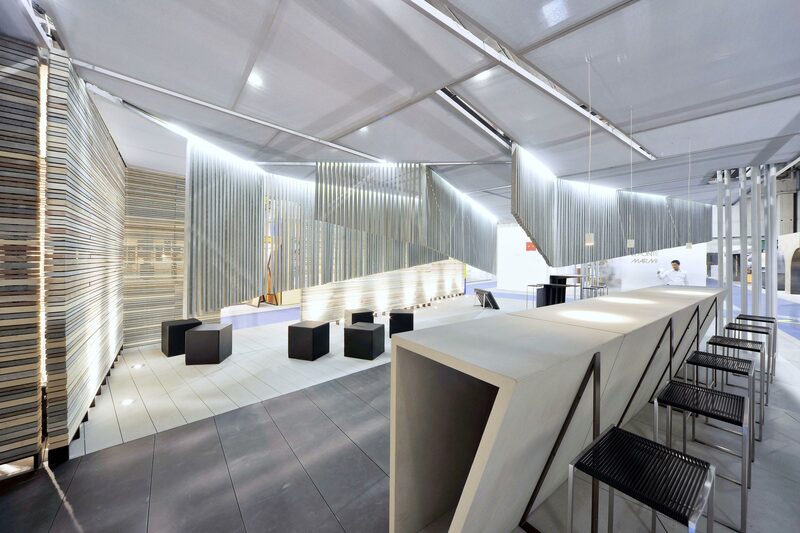 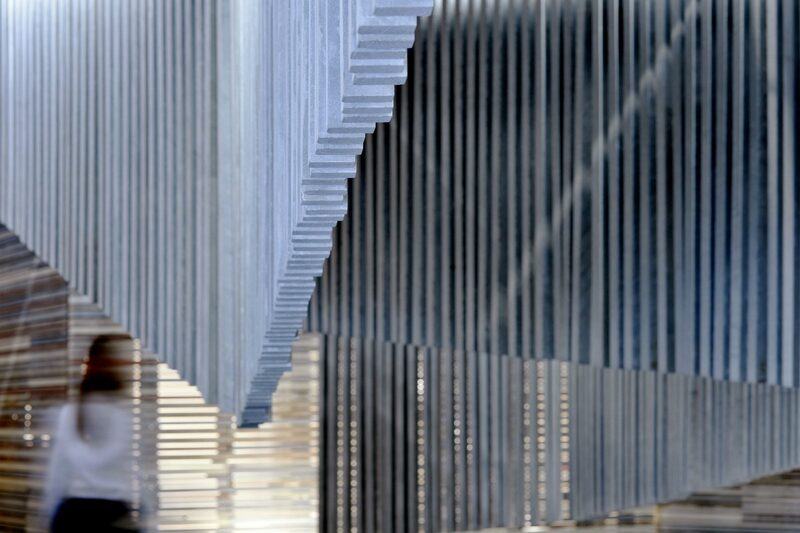 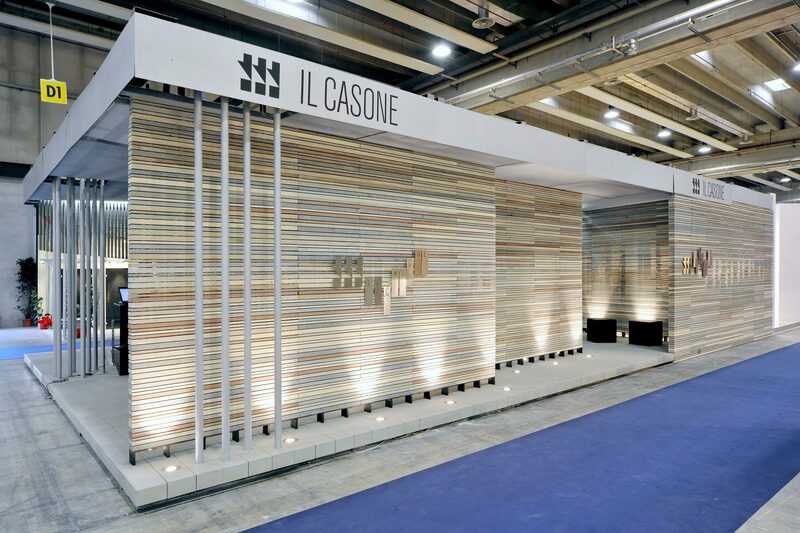 For Marmomac 2010, Casone has built its exhibition stand exclusively using waste materials for industrial processes. 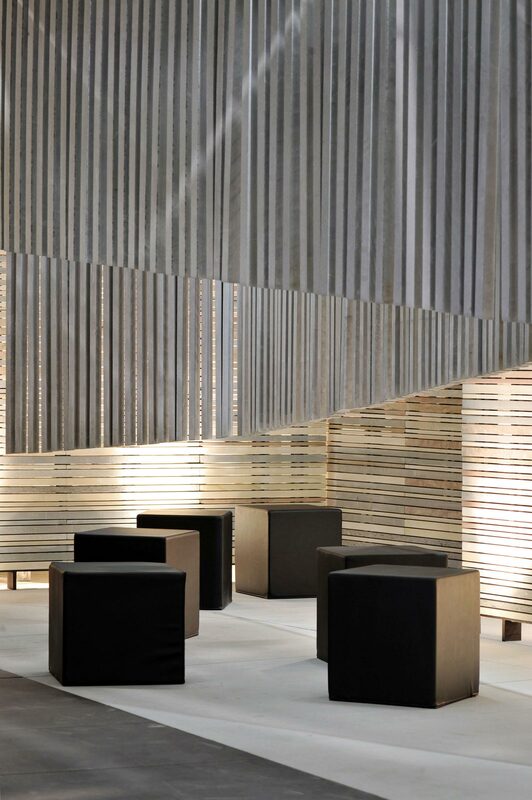 Casone commissioned Francesco Steccanella to design the stand. 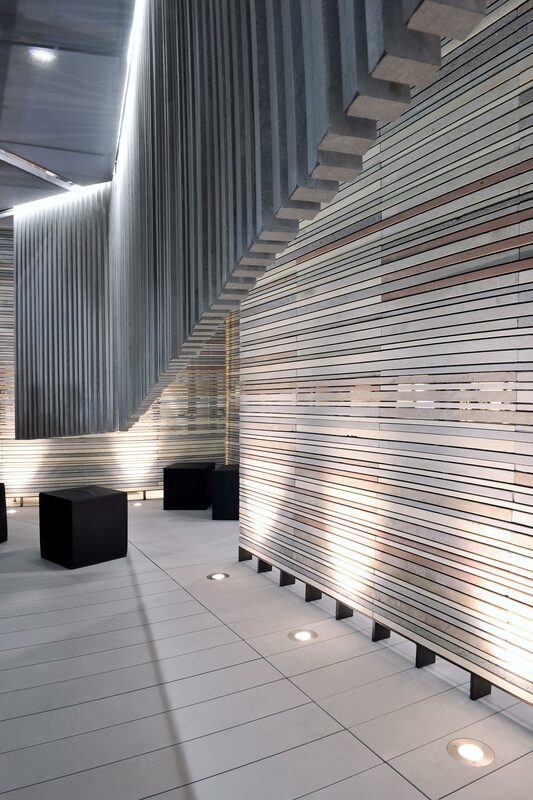 The architect focussed on several aspects: freeing stone from its traditional image of weight and sturdiness, using recycled materials and adopting production techniques adopting increasing sophisticated tools. 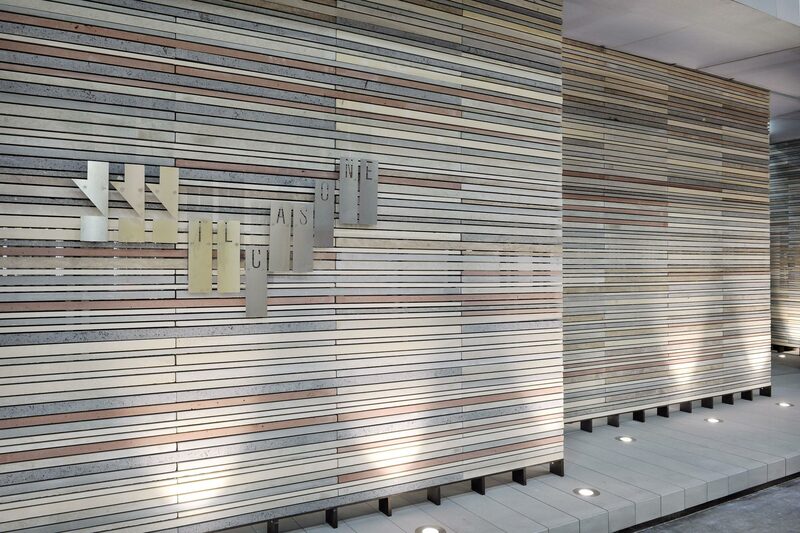 The main materials used in the stand Pietra Forte Fiorentina, Rosso Etrusco, Basaltina, Grigio Perla, Crema Fiorito e Giallo Etrusco. 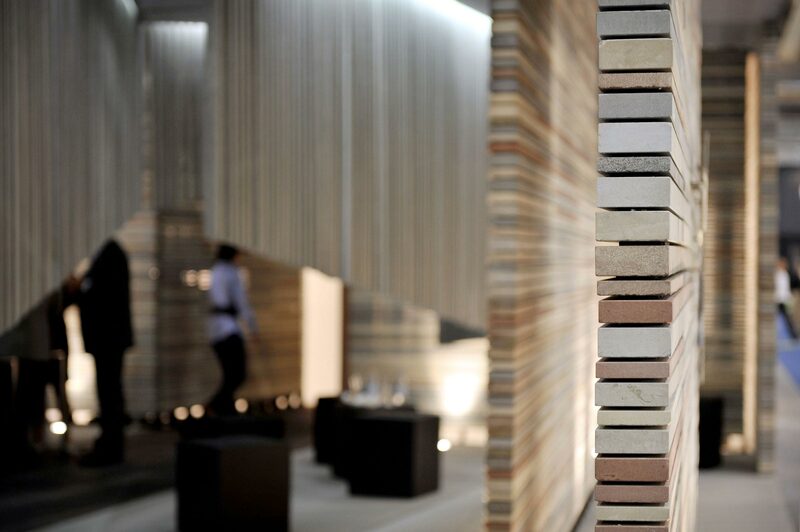 Stone appears light in a game that reveals its essence in an interactive sensorial experience for the visitor. 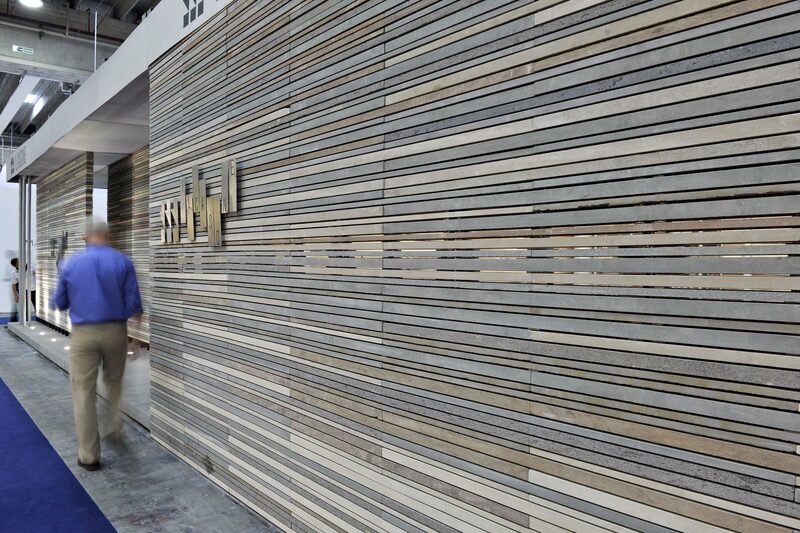 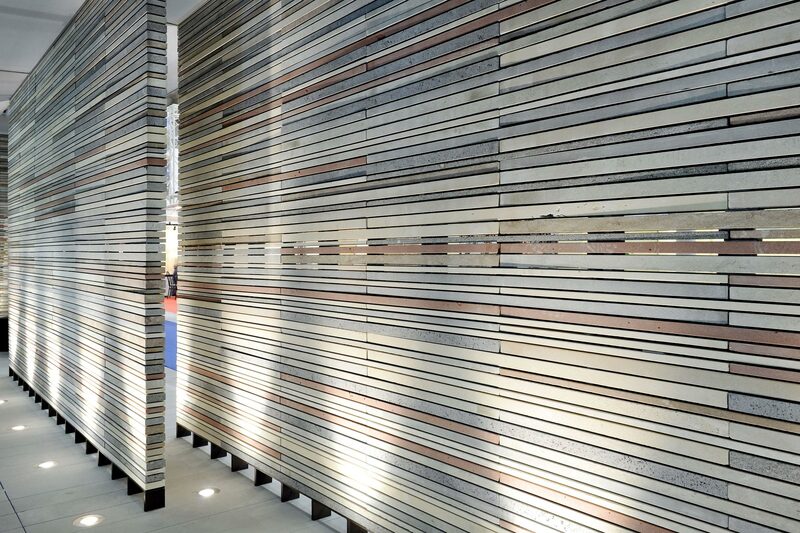 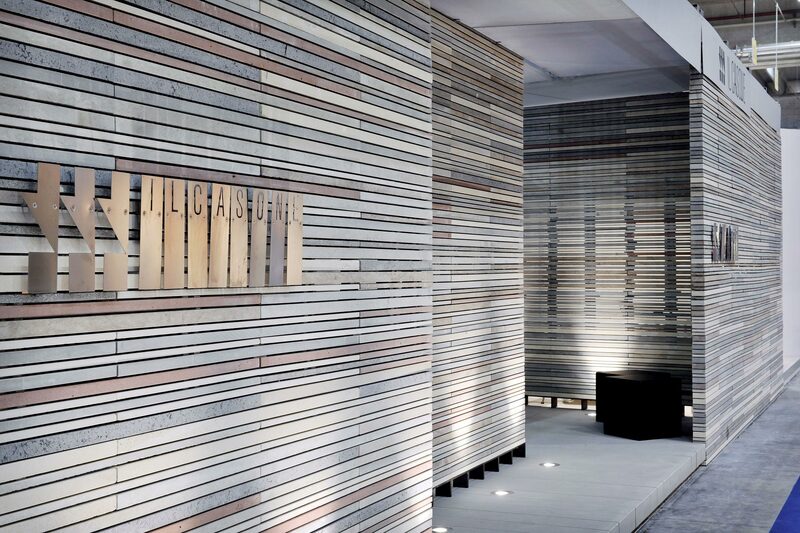 The pavement, which supports vertical dividers, multi-colour walls and threadlike strips fixed to the floor, marks out the distribution of the stand and guides the visitor's path.